Despite what you may have been told teeth are not naturally white. Teeth typically start out as a very light shade of gray or yellow and they can vary greatly from person to person. 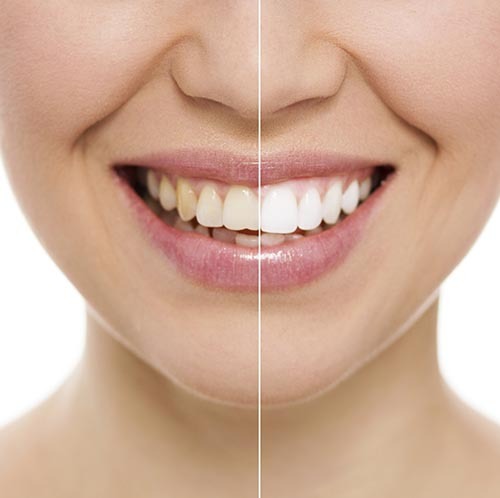 When we talk about “teeth whitening” what we are typically referring to is brightening their current shade and the results usually look white by comparison. One of the best tools we have in the fight against tooth discoloration is educating our patients on why teeth become discolored. Teeth are subjected to a wide variety of factors that can contribute to discoloration. Obviously our diet affects their color the most and drinks that are dark and acidic have a tendency to darken teeth most drastically. Things like cola, tea, coffee and red wine are the most common dietary causes of tooth discoloration. Smoking can lead to yellow staining of teeth. Further, smoking is one of the leading causes of bad breath. Age is one of the biggest contributing factors to tooth discoloration. Wear and tear on teeth over the years leads to enamel loss. Enamel is what make teeth appear whitish in color in the first place and once it has worn down, the dentin within the tooth can show through. Dentin is yellow in coloration and makes up the core of the tooth. Tooth decay and trauma can lead to a darker colored tooth. Decay is usually black in color and starts out as a small spec on the tooth. If left untreated, decay can take over and discolor the whole tooth. Further, trauma to a tooth can cause the color of a tooth to change even years after the trauma was received. Medications can even change the color of your teeth. Tetracycline, which is an antibiotic, can cause light spots to appear on your teeth if taken in high doses. Many times people ask us about whitening toothpastes that are available for purchase. Typically, we discourage the use of whitening toothpastes because they can be extremely abrasive. Abrasive to the point that it can strip the enamel from the tooth. Further, these toothpastes can take a long time to work and frequently deliver less-than-stellar results. We have a couple of different methods available to whiten your teeth in our office. The most popular is a gel that we put over your teeth and then hit with a bright light which is known as external whitening. We also offer an internal whitening procedure that is only available for teeth that have had a root canal. We have the ability to whiten your teeth by several shades in a very short amount of time so please give us a call at (602) 842-4864 to schedule your in-office tooth whitening procedure today! External whitening is done using a gel that we place over your teeth. We ensure the gums and soft tissue within your mouth is protected by a rubber seal then we shine a bright light on your teeth. This option yields the most impressive results in the shortest amount of time, and as a result is the option chosen most frequently. This is an option only available to teeth that have had a root canal done in the past. The gums are isolated from the teeth and an opening is made from the back side of the tooth. A strong whitening solution is placed on a cotton pellet and then the opening is temporarily sealed. This is left for about a week and then the color is checked. The tooth will usually take two or three visits to whiten in this manner. The demand for external in-office whitening treatment is much higher than internal whitening because so few people need whitening done on teeth that have had a root canal. For professional whitening results at home there is a great option that we offer known as at-home whitening.  It starts with us taking an impression of your teeth so that we can create a custom molded tray for you to take home. We send you home with the tray and a gel to place within the tray. This method uses a gentler whitening solution so it can be worn for longer periods of time. Typically, the tray is worn for a few hours a day, each day for a few weeks, until the desired shade is achieved. This is a hard question to answer with any certainty because each person is different. The amount of whitening each patient receives is different and everyone’s teeth are unique and react uniquely to whitening and staining. It is natural for teeth to darken over time, so you ought to expect that. Touch-up treatments are much easier to accomplish than the original whitening procedure. That being said, keeping in mind what affects a tooth’s color (diet, decay, trauma, and smoking) you have a great deal of control over how quickly your teeth darken. Whitening procedures have a very high satisfaction rate. We are confident that if you have your teeth whitened with us you will be happy with the outcome. Tooth sensitivity is the most common side effect associated with tooth whitening procedures. Gum tenderness is also a common side effect of tooth whitening. It is important to note that these are temporary and harmless. Gum tenderness is generally caused by the at-home tooth whitening procedures where the patient has applied too much whitening solution to their teeth. Remember, that a little solution is great, and a lot will not make your teeth any whiter, it will only result in tender gums. Please give us a call at (602) 842-4864 to schedule your teeth whitening procedure!